Foshan City Xin Tai Jia Stainless Steel Company is one of the leading manufacturers of stainless steel in China.Our company is located in the world famous stainless steel market -Lanshi town, Foshan, China. In September, 2011we built up a new company for international trading Foshan ShunHengLi Import & Export Co., LTD. We sell our products to both domestic and overseas markets. 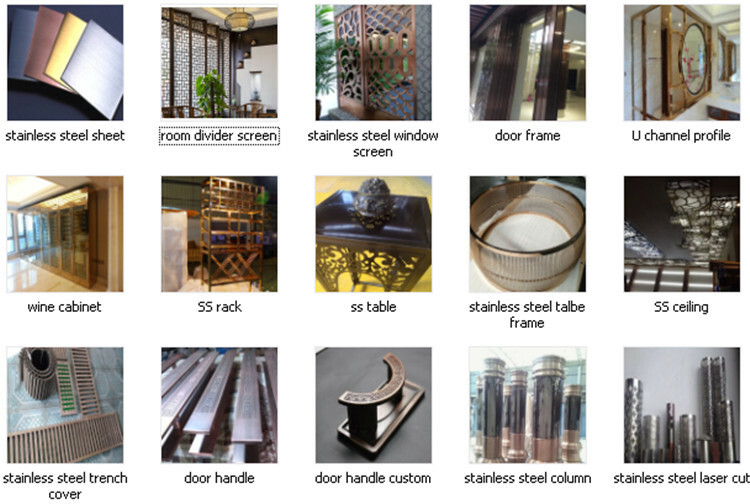 We are specialized in providing excelent solution and products ​of all kinds of stainless steel sheets and custom stainless steel fabrication for interior and exterior decoration. Stainless steel processing:V-Cutting, Laser Cutting, Plate Folding, Punching, Drilling, Welding and further process of surface finish like Etching, Polishing, Satin, Hair Line, Titanium and various kinds of colors. We are the agent of HONGWANG and YONGJIN stainless steel materials,we also supply mateirals origin like Tisco, Bao Steel, Jisco,Lisco Stainless Steel,with steel grade 201, 304, 316L & 430,410.